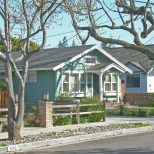 Questionable clutter, dirt and grime, and even the homeowners themselves can sometimes be all it takes to derail a for-sale-by-owner home listing, and send prospective buyers reeling. 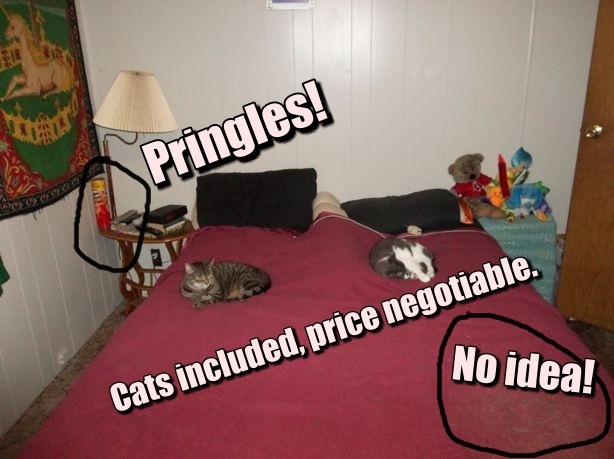 This literal dirty dozen from www.forsalebyowner.com has it all — from unusable furniture to the simply bizarre, these listings do not disappoint. 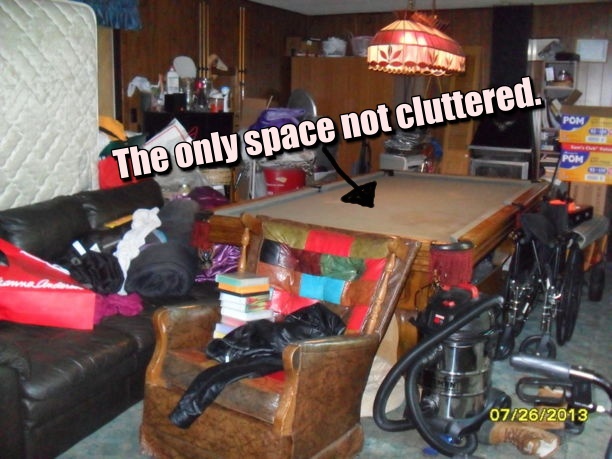 Like a good episode of the reality series “Hoarders,” they’re also sure to make you take a second look at your own living space. This listing out of Ashland, KY features a great “starter home” in a “park-like” setting with a generous amount of “lot space.” While that sounds promising, a closer look at the photos makes us question how much storage space this entry level home comes with. 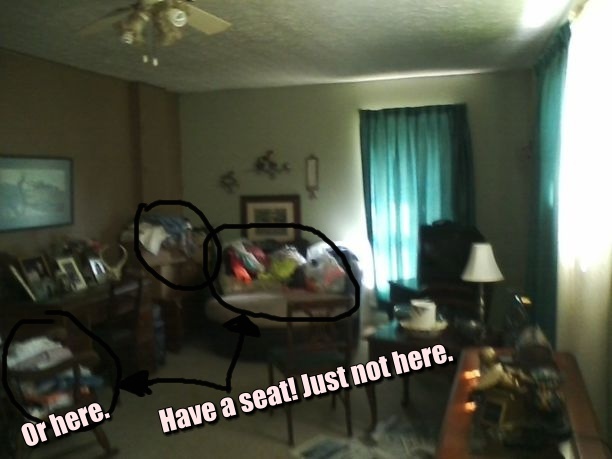 The current homeowner’s piles of junk make the living room virtually unusable and certainly un-sittable. Out of Ohio, comes this modern three-bedroom, two-bath home with “historic charm.” And while the listing does live it up to the hype for the most part, we were left scratching our heads when we saw the living room photos — there, almost unnoticeable at first glance, were two… things nestled comfortably on a comfy looking chair. 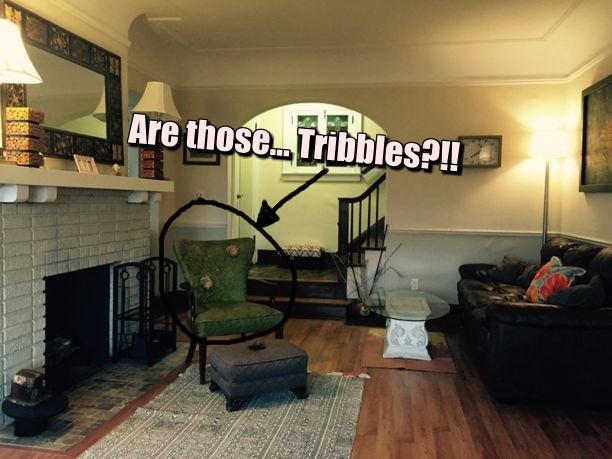 Are they Tribbles, from genre favorite Star Trek? Or perhaps something less other-worldly like hamsters? We honestly have no idea. 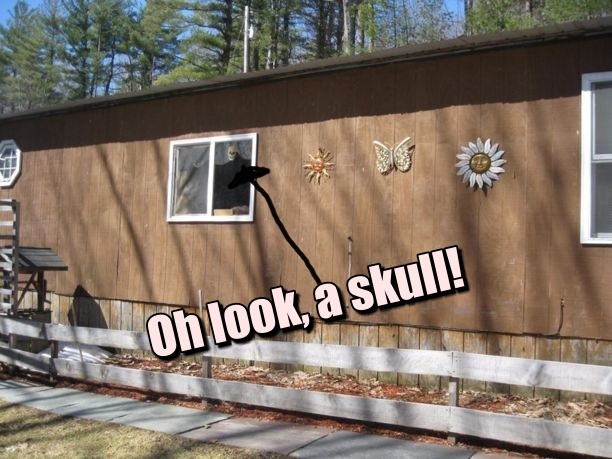 An overabundance of windchimes, a curiously placed image of a human skull, and clutter galore make this “completely remodeled” mobile home out of Pawlet, VT a real headturner. 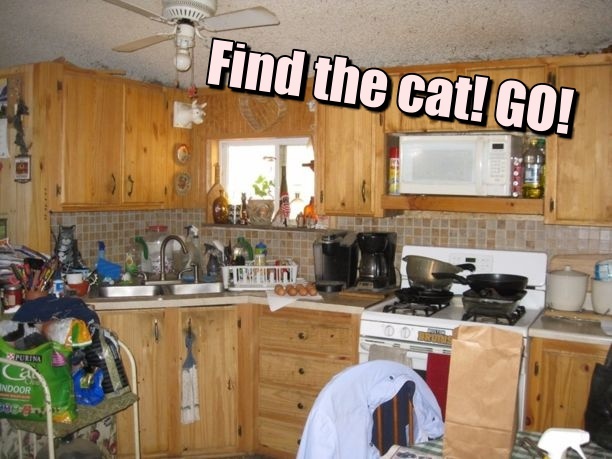 The kitchen is so cluttered in the homeowner’s photo that it makes finding the cat amid the piles of junk a game. 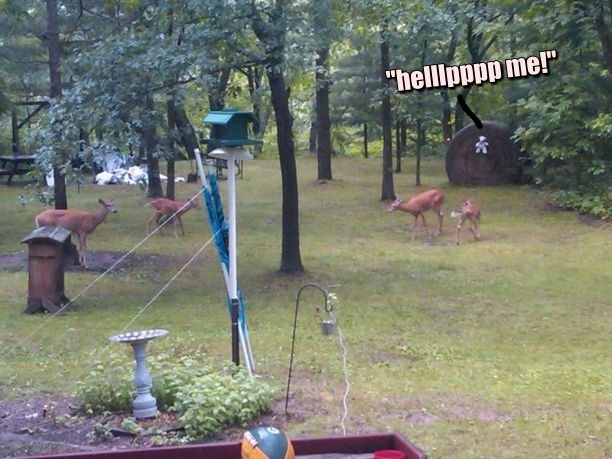 Take a look if you don’t believe us, and count the windchimes for good measure. This listing features a two-bedroom, one-bath home in Maryland that sits on three lots. The homeowner, a real estate agent no less, lists the home “as is” — never a good sign. 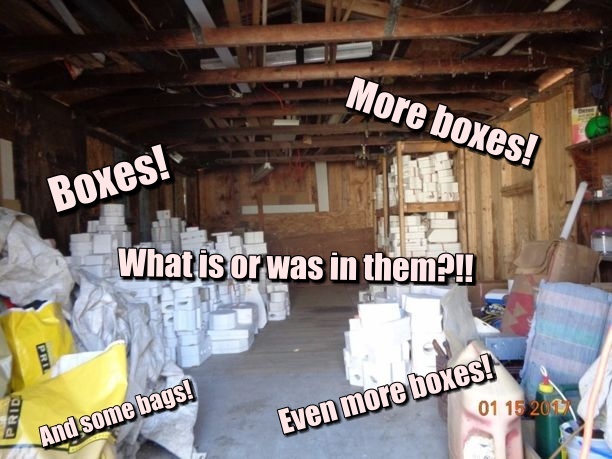 With three lots worth of space, we’re left wondering why there are dozens upon dozens of boxes and bags piled up in what perhaps can be either the garage or basement of this “as is” treasure, just blocks from the Chesapeake Bay. And more importantly, what was in them? This listing out of Baltimore, MD is touted as a “great opportunity” for investors looking to expand their portfolio. 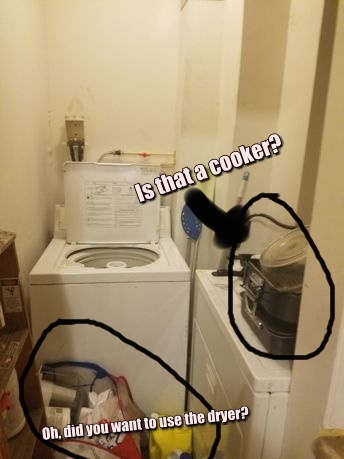 While the three-bedroom, two-bath home is unassuming by all measures, we do wonder why the homeowner chose to photograph the laundry facilities cluttered to the point that the dryer door can’t be opened.Even more bizarre is what looks like an indoor grill perched on top of said unusable dryer. 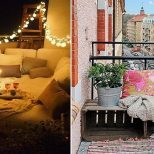 Is there not enough storage space included with this property? The listing for this six-bedroom, four-bath colonial boasts its vast amount of space, perfect for large families or even “in laws quarters.” The homeowner excitedly tempts buyers to “make an offer.” However, upon closer inspection of the listing’s accompanying photos, we couldn’t help but notice something floating in the pool. We kind of don’t want to know if it’s included or not. 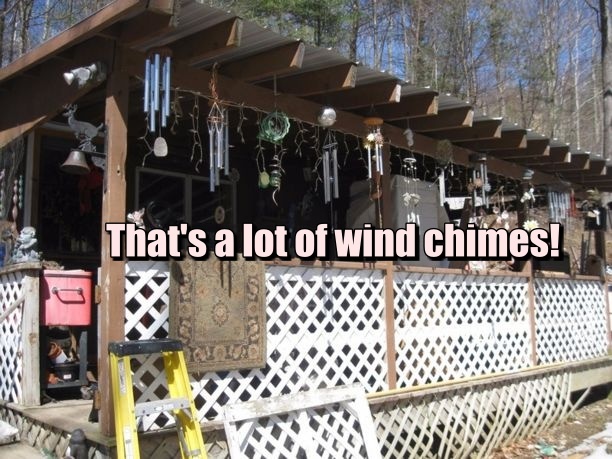 This listing features a three-bedroom mobile home out of Pennsylvania, and the current homeowner is clearly not a neat freak. 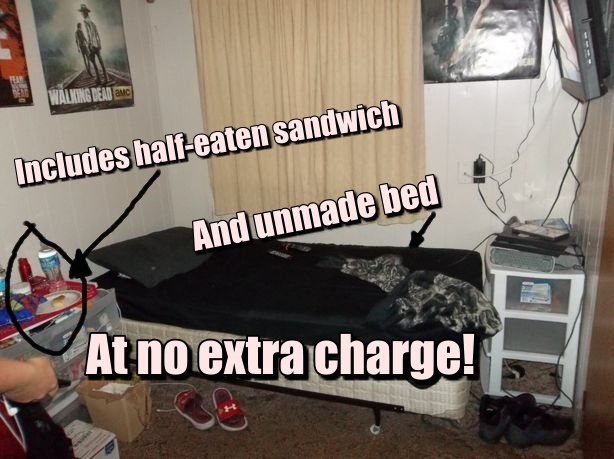 The accompanying photos include sleeping cats on a bed with an oddly dirty comforter, and an unmade bed with a half-eaten sandwich on a nearby nightstand. 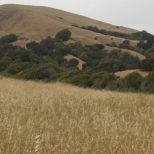 The asking price is only $9,500, but that doesn’t include the added cleaning expenses before moving in. We’ll pass, thank you. It is abundantly obvious that a teenager lives in one of the bedrooms of this 3-bedroom, two-and-a-half-bath home in Wyoming. 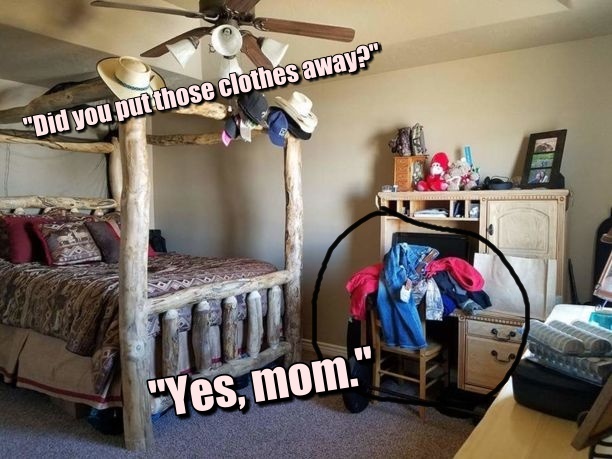 A pile of clothes haphazardly shoved in front of a computer on a wooden desk in an otherwise clean room is the only proof we need. What is puzzling though is why the homeowners didn’t hide said pile clothes, some with tags still on them, better? This listing features a three-bedroom, two-bath home in South Dakota with “lots of space.” The basement level has a family room with plenty of space for a large TV, and even includes a bar, the homeowner boasts. 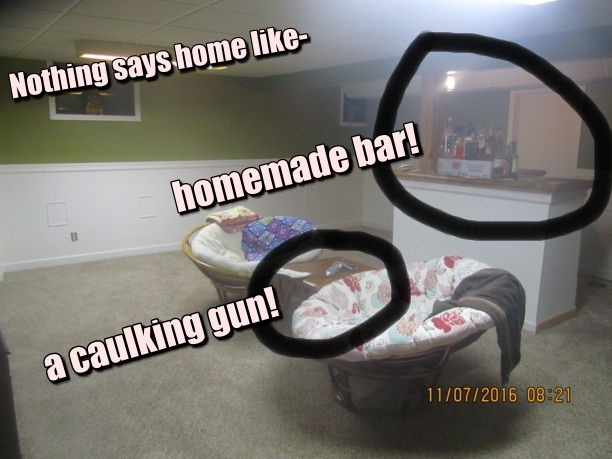 However, said bar is essentially a cardboard box, and a misplaced caulking gun makes us shake our heads at this homeowner’s folly. Our next listing is for a riverfront A-frame cabin in Minnesota on five acres of land. It’s a great spot to “enjoy wildlife.” Sure, but what’s with the stuffed teddy bear mounted in the yard looking like it’s there to ward off evil wood spirits or something? Seriously, we want to know. This listing features a 2,000-plus-square-foot home in Minnesota with three bedrooms. It certainly sounds spacious enough, and even the photos do a fairly competent job of presenting it. 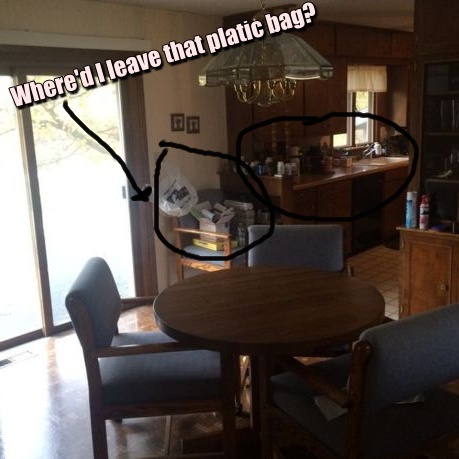 However, if there’s so much room throughout the home, why did the homeowner toss books and a plastic bag in the dining room? Also in Minnesota, this listing features a “rambler-style” home with three bedrooms and one bath. 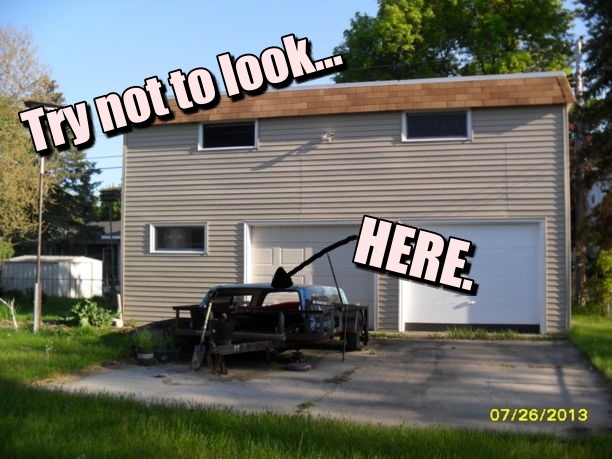 It also features a detached garage that is so absurdly cluttered we don’t know where to even begin, other than to say you could still technically shoot a game of pool in there. But the photo de resistance is the living room shot. 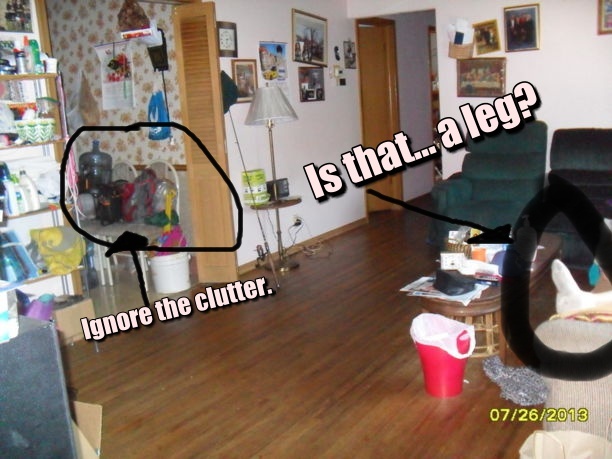 Nothing makes you feel more at home than seeing what looks like someone else’s leg in what could be your living room, and the obvious clutter in and around the room. 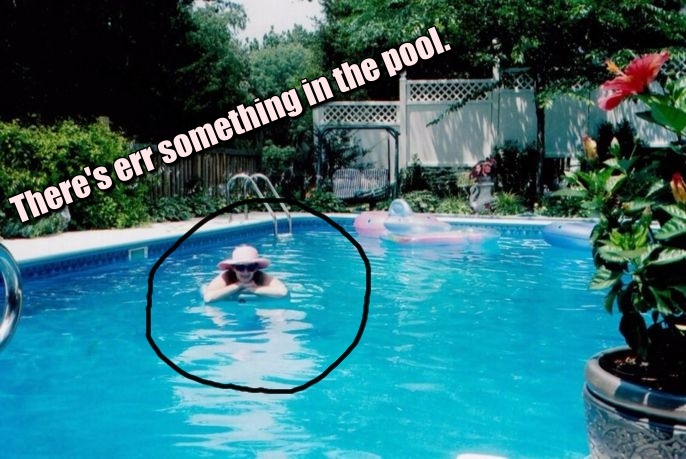 This one is an #epicfail. We won’t even talk about the eyesore outside the home.